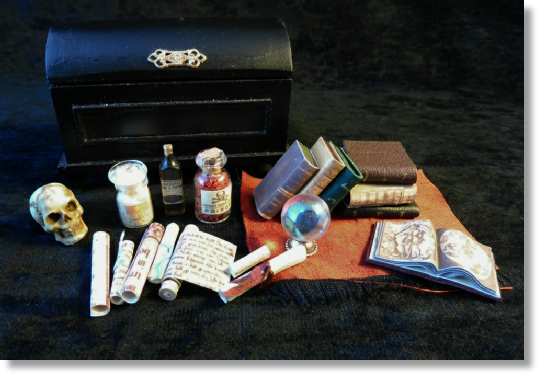 The Alchemist’s Trunk, is a superb prop for your magical den or to use with a storytelling effect. All of the items can be stored inside the miniature black wood trunk. It has a gold coloured hasp and inside is a set of removable shelves. 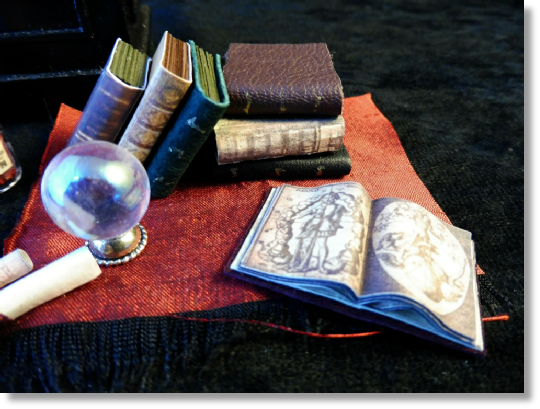 All these items are superbly detailed and hand-made. Just look at the detail on the photographs. Only have ONE of these, so once again the first person to order gets it. Cost: £35.00 - email for payment details.